Good news – BEST WOMAN FOR THE JOB is FREE! Yup, that’s right – it’s FREE. This is a great chance for you to check out the prequel to STILL THE BEST WOMAN FOR THE JOB, book 1 of the Jenkins Family Series. You’ll also get to meet some of the Jenkins family members! So don’t delay, get your copy today! When plumber, Toni (TJ) Jenkins, shows up at Cincinnati police officer, Craig Logan’s house to repair his plumbing issues, he thinks it’s a joke, but soon finds out the joke is on him. Toni is the finest plumber he’s ever seen. Will Craig realize before it’s too late, that not only is she the best woman for the job, but she’s also the best woman for him? 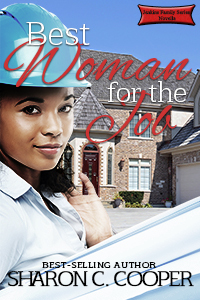 This is a short story prequel to – Still the Best Woman for the Job. If Craig Logan was surprised to see a female plumber standing at his door, he didn’t show it. Instead, he leaned against the door jamb, arms folded, wearing a police uniform—gun and all—looking sexier than any man had a right to look. “And who did you say you were again?” His voice rang with authority, but was as smooth as silk. Used to men checking her out, she didn’t take offense when he did a slow perusal of her from head to toe, before his eyes returned to her face. His lips curled into a cocky smile and Toni drew in a breath. In her line of work, she was around men all of the time, but none that looked as good as this one. With smooth skin the color of sandalwood, intense eyes that seemed to see into her soul, and a body that made you want to rake your hands over every muscular inch of it, she had no doubt that he made women’s heads turn wherever he went. The brother was fine. His hazel eyes crinkled around the edges as he released a hardy laugh, and she was awed by the rich bass sound of it. Hold up. Is he laughing at me? She didn’t care how gorgeous he was, she wasn’t about to stand there and be some Robocop’s form of amusement. Why was it so hard for people to believe that she was a plumber, especially men? Not only had she completed a five-year apprenticeship just like every other journeyman plumber, but she was a master plumber with advanced skills. Yet, on almost every service call, she had to take crap from some idiot who didn’t have a clue that this was the twenty-first century, where women could do anything a man could … except pee standing up. 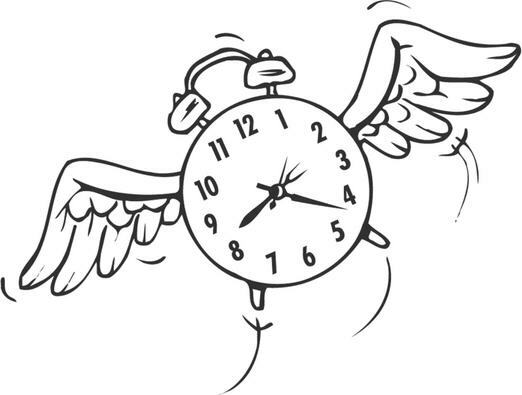 Time Flies When You’re Having Fun…Or so they say! I can’t believe its August already! I feel as if I’ve missed a few months! I remember some twenty-plus years ago, a friend of mine told me that the older you get, the faster the time goes. Well, I think I’m there! The hours, days, weeks, and months are flying by! 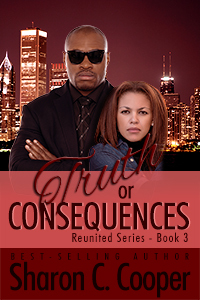 TRUTH OR CONSEQUENCES, book 3 of the Reunited Series (romantic suspense), is now available on several ebook retailer sites AND in paperback! Many of you have asked about Jada Jenkins story, ALL YOU’LL EVER NEED, book 2 of the Jenkins Family series (contemporary romance). Right now, all I can say is that it’s coming – soon! I’m revamping it some (okay a lot) – tweaking the pacing, moving things around, etc. I want to make sure I get the story right! And for a moment there, it wasn’t turning out the way I’d envisioned. So after reading, re-reading, removing scenes, and adding scenes – I think it might be on the right track again. With that said, the release date was originally August 27th. Unfortunately, that’s not going to happen. I can tell you that it is on track to being an early September 2014 release. I’ll give you an exact date in a couple of weeks. Then you will finally have ALL YOU’LL EVER NEED in your hands (or on your ereader)! Quick-witted, sassy, construction worker, Jada (JJ) Jenkins, loves the finer things in life. She’d rather be in designer clothes and stilettos than sporting steel-toe boots and a hard hat. She hates getting dirty and worst, sweating. Jada’s ready to quit her job and marry a wealthy man who’s able to support her shopping addiction and her expensive taste. She’s not looking for love, only a comfortable lifestyle. What she doesn’t expect to find is a blue-eyed hunk with dimples and a disarming ability to throw her off her game. For professional football player Zack Anderson, its love at first sight when he meets Jada. The fact that she’s a construction worker is even better. 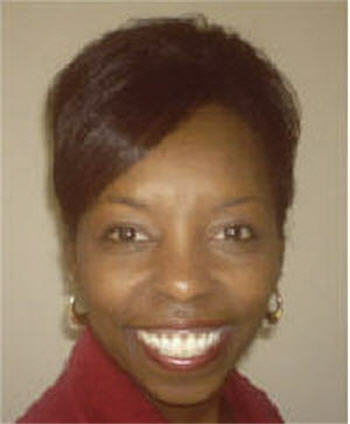 He wants a woman who’s not afraid to get down and dirty, someone who enjoys fishing, hiking and the great outdoors. He thinks he’s found that in Jada. Before he loses his heart, will Zack discover that the last thing on this feisty steel-toe-boot-wearing-beauty’s mind is getting her hands dirty with love? As for LEGAL SEDUCTION, I’m thrilled that my debut Harlequin Kimani release was so well received! It’s a little different from my usual writing style, but based on the feedback, the passion that I try to incorporate in all of my stories – was there! Oh, and for those of you who have asked about Macy and Janna – it looks like they will get their own story! Stay tuned! I recently realized that I’ve done a number of giveaways on various online sites over the last couple of months, but I think it’s time I do a giveaway on my own site! So stay tuned! In a few days I’ll be doing a giveaway including: books by some of your favorite authors, swag, and gift cards! You don’t want to miss out! All right, enough about me! How was your summer (or is your summer)? Am I the only one playing catch up…or keep up?